Last fall, as I began thinking about changes we could make around here, new things to add, ways to change our systems, what we could do without, I remembered with fondness our days of regular poetry memorization and I knew I wanted it back in my children's lives. Especially since the two that live here at home are the ones that were either not on earth yet, or too young to really participate. When I was a homeschooling mom (I miss those days!) part of our regular routine was to memorize one poem, one scripture, and one hymn a month. As Lyndsay and Dylan got older, their memorization projects got more involved. I can remember one Christmas when Dylan memorized (and acted out) "Twas the Night Before Christmas" which I must still have on video somewhere. And Lyndsay memorized The Declaration of Independence and The Living Christ as two of her YW Value Projects. Such inspiring, impressive recitations. One of the things that I've enjoyed is the renewal of my belief in the importance of memory work. 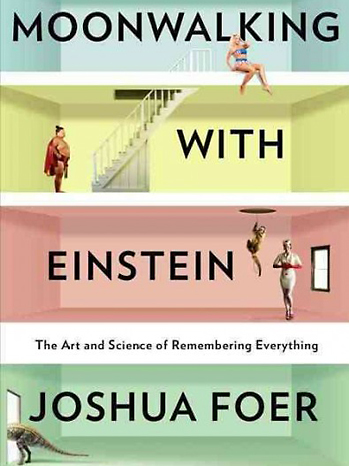 I was intrigued by the book because I have such an enormous amount of reading that I have to do in nursing school and the task of committing it to memory has proven to be very daunting for me. I wanted tips, and HELP. "Mere reading is not necessarily learning. . .To really learn a text, one had to memorize it. As the early-eighteenth-century Dutch poet Jan Luyken put it, "One book printed in the heart's own wax/ Is worth a thousand in the stacks." The ancient and medieval way of reading was totally different from how we read today. One didn't just memorize texts; one ruminated on them--chewed them up and regurgitated them like cud--and in the process, became intimate with them in a way that made them one's own. As Petrarch said in a letter to a friend, "I ate in the morning what I would digest in the evening; I swallowed as a boy what I would ruminate upon as an older man. I have thoroughly absorbed these writings, implanting them not only in my memory but in my marrow."" I understand those words so much better now as an adult than when I was 16, but I love that she gave me so many years to "chew" on them. So, what we are doing this year is memorizing one poem a month. I have a book called (aptly) Poems for Memorization that was a mainstay in my homeschooling days. I like its simplicity and the fact that the poems within have great appeal to children. The book is divided up by grade level, so I am choosing age-appropriate poetry for the boys, not the same poem. By the end of the year, they will each have twelve poems in their minds on which to ruminate. I think it will be a blessing to them in this fast-paced, information-overload, instant gratification world that they live in. I have Poems for Memorization and I agree that it is good for children and adults to practice memorization. We got the Einstein book at the library this week--and Christian reminded me that I had bought it for him for Christmas last year! I had completely forgotten until I saw the cover. I am looking forward to reading it. Now my great ambition is to write a poem worthy to be memorized by you.